Make sure you don't get lost at the hen party with this Glow Whistle Necklace. This funky accessory will ensure that you are easy to spot in a crowd! 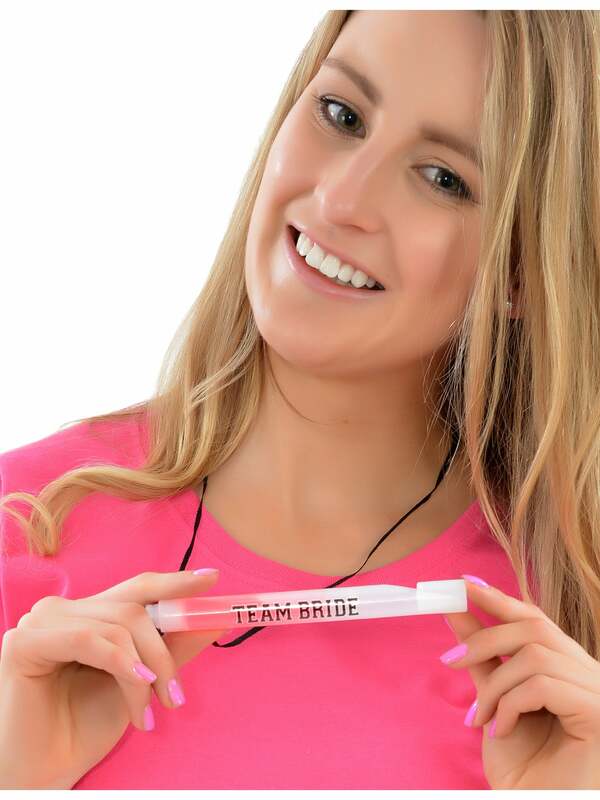 The pink glow stick is attached to a black rope necklace and has 'Team Bride' text on its side. Not only does it glow in the dark, but it's also a fully functioning whistle! Why not check out the rest of our amazing hen party products, such as these eye-catching Hen Party Boppers and the ingenious Fake Tampon Booze Smugglers? You'll have a hen party to remember!